Solution: Figure 12.11 shows the phase changes of pure water. Consider how the diagram would change if air were present at 1 atm and dissolved in the water. 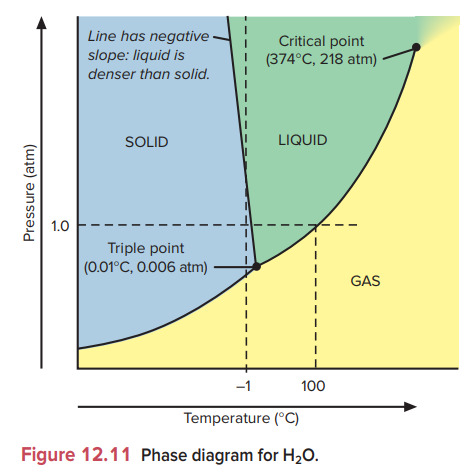 (d) Would the liquid have the same vapor pressure as that shown in Figure 12.7 at 100°C? At 120°C? Figure 12.11 shows the phase changes of pure water. Consider how the diagram would change if air were present at 1 atm and dissolved in the water. 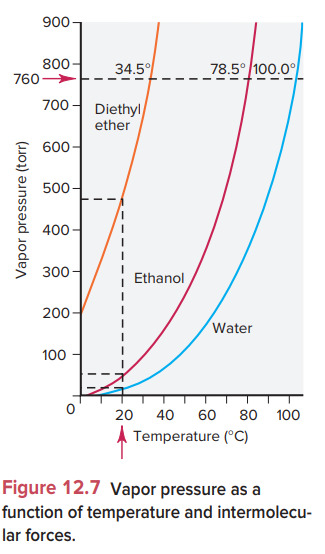 (d) Would the liquid have the same vapor pressure as that shown in Figure 12.7 at 100°C? At 120°C?